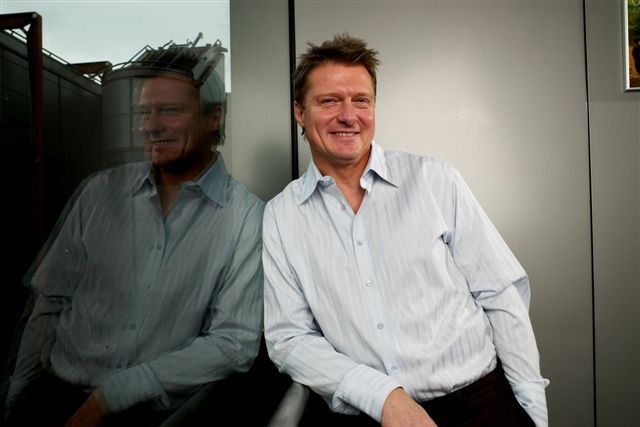 "After almost 20 years of outstanding service Channel 4's highly respected Sales Director, Andy Barnes, is only the second Sales Director in the history of Channel 4 and was in sole charge of Channel 4's airtime, sponsorship and online sales departments since 1997. In this time he delivered over £12bn of sales revenue to the company." Channel 4, 2011. Here, Andy talks to Yolk about wobbles and why even tightrope walkers can still have a mind numbing fear of heights. No, not Wombling. That refers to a happy 1970’s soft toy puppet programme that stared, amongst others, Great Uncle Bulgaria as the wise old sage and Madame Cholet as the resourceful chef. The Wombles - who quite naturally given their location on Wimbledon Common - were a bunch who basically cleaned up after people who had left stuff on the Common and found quite ingenious and interesting uses for a lot of it. The Wombles - quite unnaturally on the other hand - was also the nickname given to the quite ferocious Wimbledon football team of the 1980’s - who on one famous occasion in the tunnel at Wembley before the 1986 Cup Final with Liverpool, so frightened their opponents with their open aggression that they easily won a game that they were widely predicted to lose. And in those two Womble extremes we have the perfect “Wobble” spectrum. The notion that a person is always fluffy and happy and at one with the world turning seemingly useless cast offs into interesting story making objet dart is ridiculous. Equally unlikely though is the concept that the world is a terrible, frightening place with traps and ambushes waiting for you at every turn. People are not waiting to make your every wish come true. Neither are they waiting around every corner preparing to beat you up both physically and mentally. As ever the truth lies somewhere in between. Some days it will be better, some days worse. But it is rarely, if ever, at either end. What is also true is that wobbling (and life itself) are journeys. There is no destination to reach. There is no final outcome. You can have good days. You can have bad days. You can do something brilliantly. You can also do it badly. You can soar high in the air one day thinking that all your fears and worries are over as you have so over delivered on the task at hand. Yet the very next day you can feel so insecure and vulnerable that the slightest knock can have you scurrying for a darkened room. But I am here to tell you not to worry. This is all quite natural. It’s life. The most successful people have massive insecurities about their own competence and ability to do the job at hand. Winston Churchill, Robbie Williams an Michael Jackson to name but three had and have huge doubts about their ability to perform and get the job done irrespective of the evidence in front of them that pointed to the contrary. It was the late great Ian Dury who coined the phrase “First night nerves, every one night stand” which of course is right-yet is equally applicable to people who do something over and over. The warped logic goes that I may have been successful at it yesterday but that is no guarantee that I will be equally successful at it today. Which of course is true - however unlikely. The best public speaker I ever saw - Jeremy Bullmore of JWalterThompson fame once told the story of how he used to get his driver to pull over so he could be physically sick, so nervous was he before every public speaking engagement he had. Yet take it from me, he was brilliant. So what is it about the human psyche that causes this to happen? Why can’t we always be on a high supremely confident to do the job at hand to an ever increasing level of expertise and confidence. And the truth is - you could. There, I’ve said it. You can be everything you want all the time with no worries or wobbles. Except for the fact that this would then become the norm and that would not be what you any longer aspired to do or be. It would be ok. But who wants just Ok! I must improve! I must be better, irrespective of how successful others may view me to be now! Yet that’s exactly what clever people do. They set themselves small achievable goals that always push them on but are achievable. The Japanese call this KANI-continual and never ending improvement. Of course everybody wobbles from time to time. It’s natural. It will happen. Perpetual increasing motion does not exist in either the physical or mental world! But you can plan for it. Expect it. Accept it. But know that it will never undermine the core that is you. You are the best you I know. You are the best you can be. And you also have a huge network of support groups. Use them. Always. It’s not what happens to you in life that is important. It’s how you react and deal with it that is key. The bad and the good. They are both transient but they are what makes you, you. Only you can affect you. Only you can change the way you feel. No one else. Armed with this simple piece of knowledge you have enormous strength and sense of purpose and well being. Use it. Always. And you will be what you want to be-irrespective of the inevitable wobbles! So getting back to the Wombles. They wobbled. The ferocious Wimbledon Football Club-they wobbled too. But through it all they both retained their sense of self, what they were, what they stood for and represented. The same is equally true for you. Armed with just that little piece of knowledge you can do anything you want to and put your mind to irrespective of the bumps along the way.